These color-changing LEDs take the work out of creating crazy, flashy, blinky... ness. Simply apply power and the LED will cycle through the RGB colorspace: no external controller necessary! 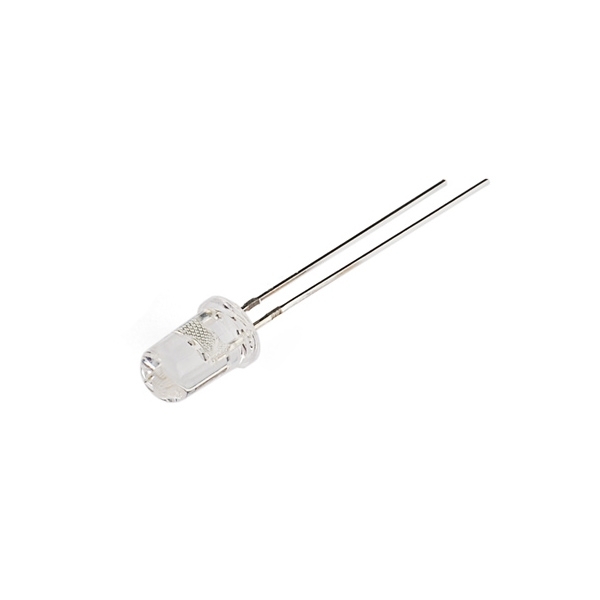 These bright and festive LEDs make great decorations, LED "throwies", indicator lights, etc. Typical forward voltage is 2V. 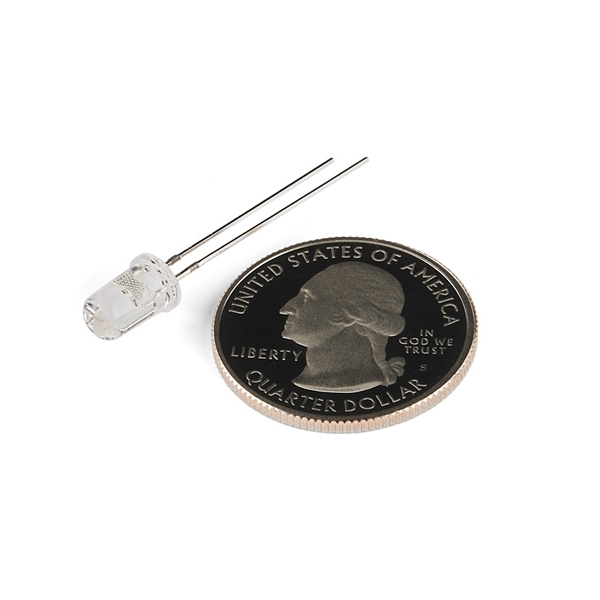 These 5mm LEDs are of the "slow-changing" variety, meaning they cycle at a rate of one color every few seconds.